Have you been to Nara? it's close to Kyoto and you can find awesome historical things older age than Kyoto. I haven't been there over 20 years!! 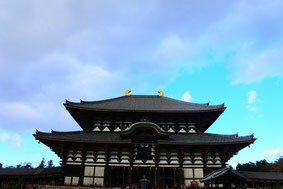 we had good time in Todaiji-temple and Kasugataisha last December both of them are close to Nara station (kintethu and JR). `` Nara no daibuthu`` is the biggest Budda statue at Todai temple in Nara. 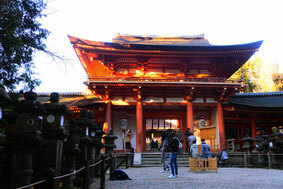 The temple was built in 743 by Shomu tenno ( Emperor Shomu) to protect country by Budhism. Kasugataisha shrine is about 15min on foot from Todai temple. The Kasuga taisha was buit in 768 by Emperor Shotoku. When build Heijyokyo he brought God to Mikasa Mt. for worshipping and to protect Heijyokyo. I recommed to get there by bus or taxi from Nara station, there is a tourist information (English, Chinese information and buggage rooms also) in front of Nara station ( the landmark is Starbucks coffee there). We tried Budda pudding and amazake(green cup one) at Maboloba Honpo near Nara station.There are many kinds of pudding flavor.The amazake is one of Japanese traditional non alchohol sweet drink, it's made from fermented rice. Cover Nagoya, Osaka, Kyoto, Nara, Mie, you have great way by Kintethu railway, it is only for entering Japan for sightseeing (temporary visitors) !! There are three types 2500yen (unlimited ride for 2days cover with Nara, Kyoto, Osaka), 3800yen (unlimited ride for 5days cover with Nagoya,Kyoto,Osaka,Nara,Mie), 4800yen (unlimited ride for 5days cover with Nagoya,Kyoto,Osaka,Nara,Mie and bus lines). 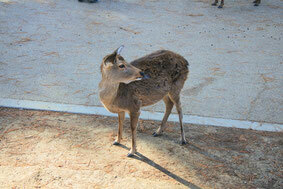 Actually, I love Nara than before I will be back there this year !